Living… with his wife Jennifer in Manhattan. Harry can be somewhat of a cad, but more deeply wants to make his life with Jennifer work. 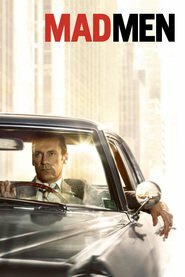 Profession… media buyer at Sterling Cooper ad agency and head of the firm’s new television department. As such, he stands at a crossroads in the history of advertising. As television becomes increasingly important in America, Harry is positioned to profit a great deal occupationally. So Harry finds himself at the right place at the right time, but will still have to say the right thing from time to time—something he repeatedly finds difficult to do. Interests… drinking after work with Ken Cosgrove, Pete Campbell, and Paul Kinsey, his friends and colleagues. Challenge… finding happiness in his work and his marriage. His home life is complicated and his office life doesn’t seem to help. Unlike most of his Ivy League colleagues, Harry went to the University of Wisconsin, and often seems to try overly hard to fit in. The temptations of the Madison Avenue life occasionally prove to be too much for Harry. He doesn’t know what he wants and repeatedly shows himself to be ignorant and prejudiced. His challenge, at its purest, is to find a light to guide him through the fog of blind ambition. Personality… goofy to the point of awkwardness, and very often inappropriate. Harry can sometimes be insensitive and offensive, though not always intentionally. He seems to think it’s okay, for example, to make comments to his co-worker Peggy about her appearance. His backhanded compliment “You’re not fat anymore” likely takes the cake. Harry Crane's popularity ranking on CharacTour is #5042 out of 5,000+ characters. See our top-ranked characters and read their profiles.